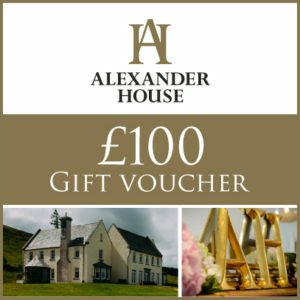 A stay at Alexander House or in our cosy yurts make wonderful gifts for birthdays, Christmas or wedding presents. Why not treat someone you love to the gift of escape and relaxation? Our Gift Vouchers can also be purchased by family and friends to assist you with your wedding budget. The vouchers are redeemable against wedding bookings at Alexander House. Please read our Gift Voucher Terms & Conditions before making your purchase.